In our rush to adopt new skill sets in photojournalism -- that is, adding video, audio and the web to our bag of tricks -- we sometimes miss the point that whatever we do, we are still telling stories. 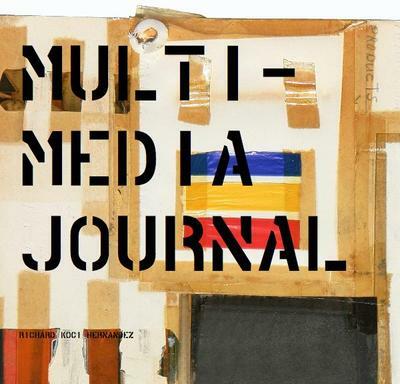 Richard Koci Hernandez's new book "Multimedia Journal" inspires photojournalists to explore the rich and layered world of multimedia in compelling ways. The idea for the book came after nearly a year's worth of conference presentations across the country about how the San Jose Mercury News photojournalists are generating multimedia stories for the Web. Koci Hernandez explained that many journalists expressed fear and reservations about using new technologies to tell stories. "From top to bottom there is a huge debilitating fear about multimeda and video," he said. In his book, which features more than 50 exercises, Koci Hernandez explores ways for journalists to tap into their creative energies and translate stories through words and images in new and dynamic ways. One thing he discovered during his travels was that many journalists were afraid to think of themselves as artists. However, in his approach to teaching multimedia, Koci Hernandez tries to convince people that they can still tell stories effectively and be creative at the same time. From the traditional perspective, he says, "It’s like trying to paint with the same brush with the same color all the time." "Journalists are afraid to fail and they never want to feel like their approach was wrong. I think that right now is the most exciting time in journalism ever. "We have an opportunity to do things in ways that we never had before. If people don’t seize the opportunity we are going to miss out," Koci Hernandez said. "What multimedia does is make you think in a longer format. It makes you ask more questions and makes you slow down more," he said. "It has made my storytelling better. The words "creative" and "artist" are being infused into my work." "Previously all we had as a journalist was the printed page – that was the only vehicle we had – and we did try to make emotional connections. But now, the platform has completely changed," Koci Hernandez said.